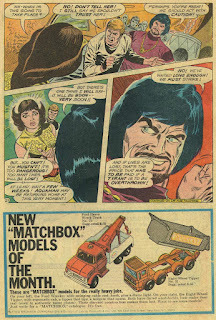 Dig it, Groove-ophiles! 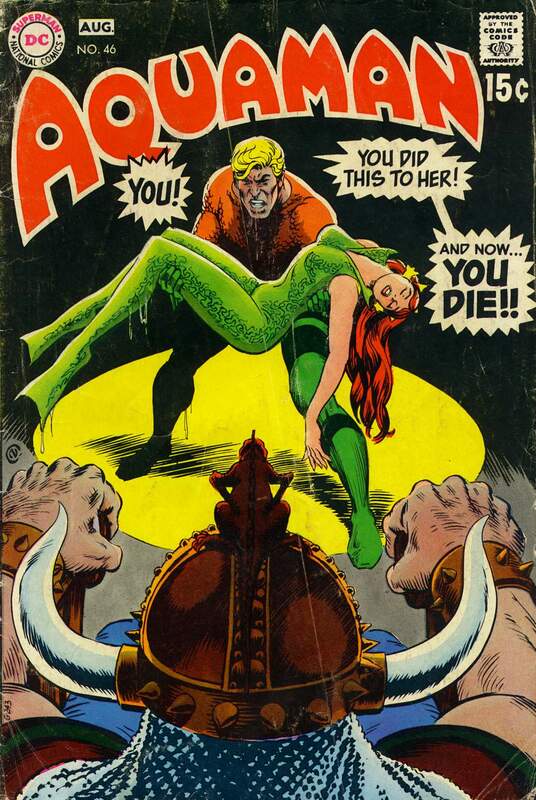 It's the wrap-up of the "Aquaman vs. the Mob" mini-saga that's been running in the past couple issues of Aquaman. 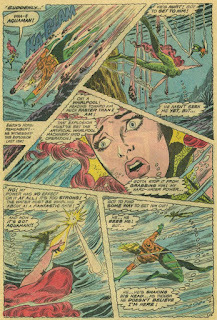 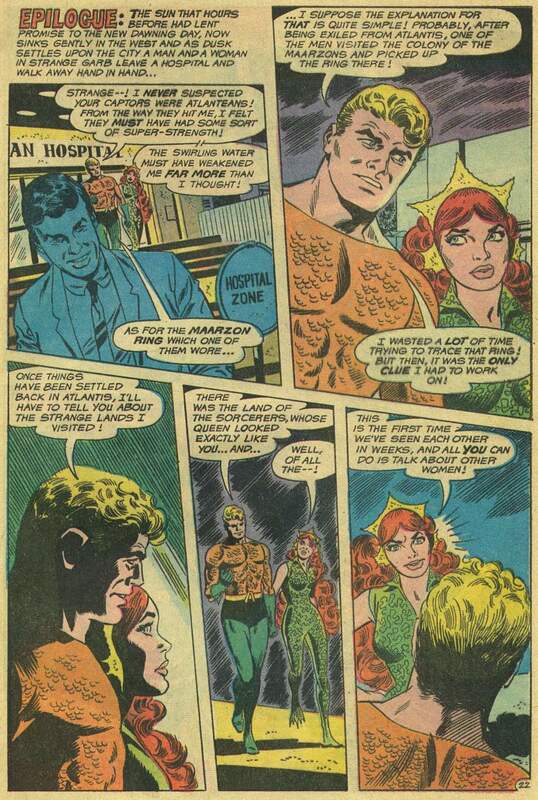 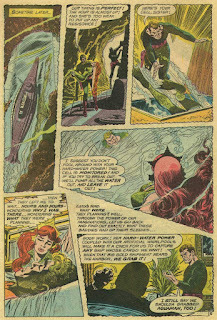 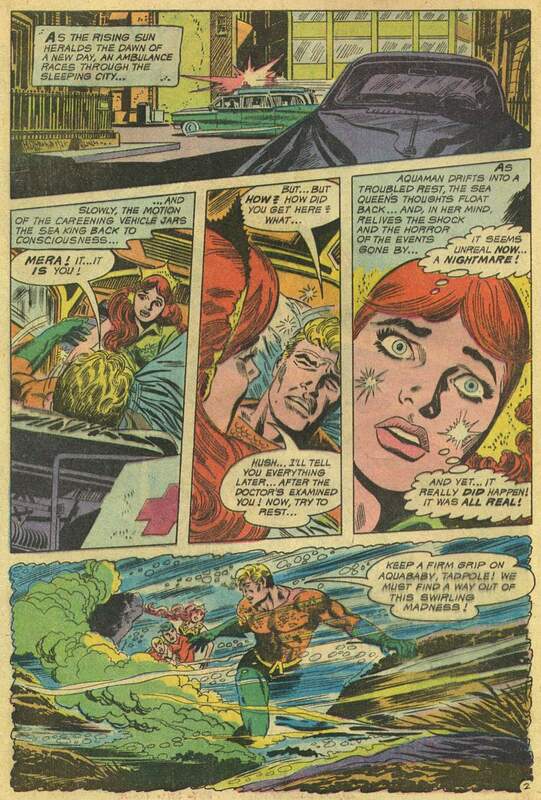 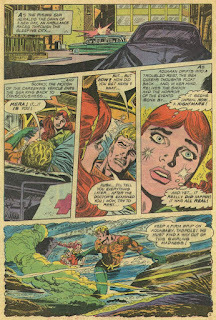 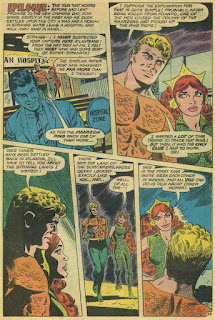 Thanks to Mera (and writer Steve Skeates and penciler Jim Aparo and guest-inker Frank Giacoia), we find out why Aquaman was where he was and why he was doing what he was doing (howzat for spoiler free?) 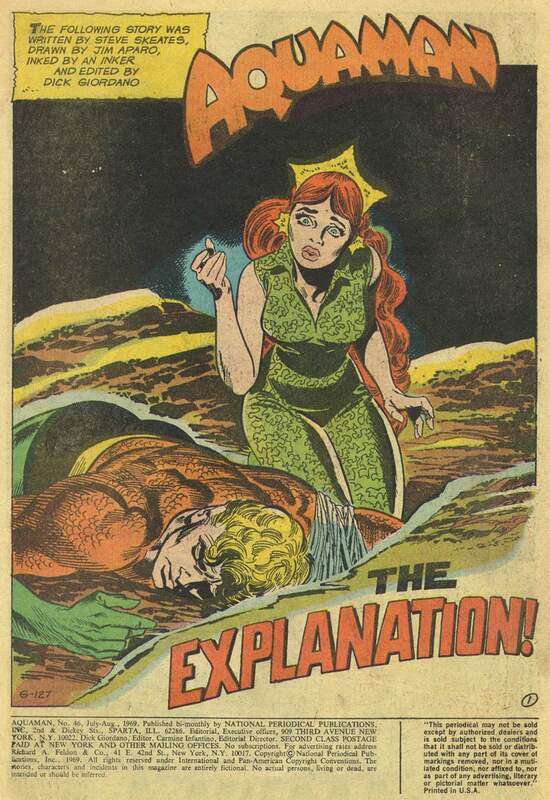 in..."The Explanation!" 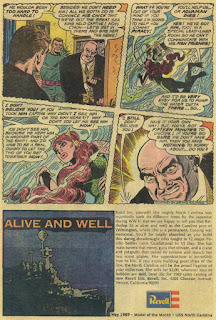 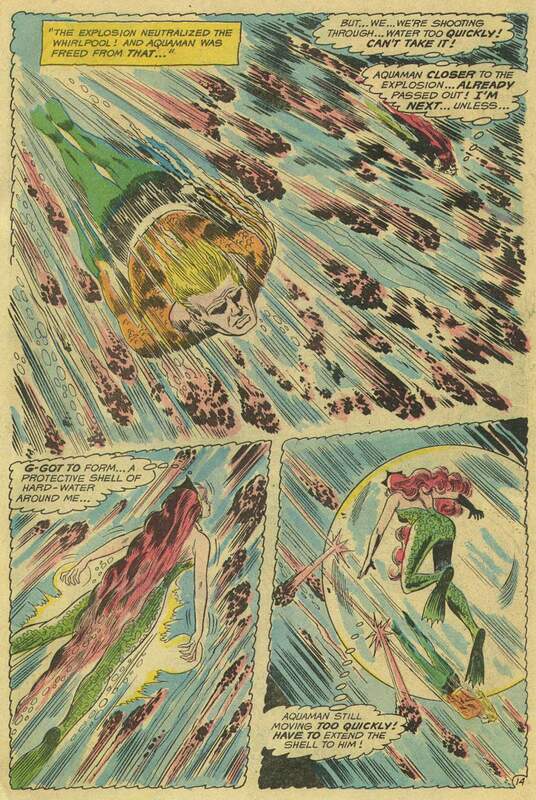 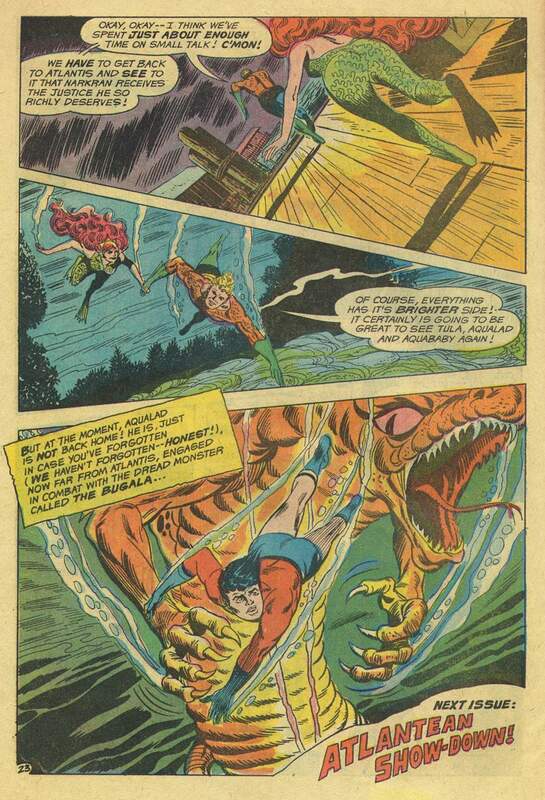 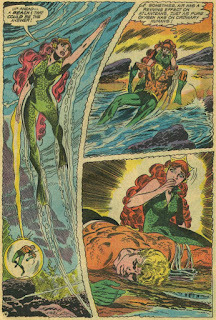 And that explanation was found in Aquaman #46 (May 1969). Can you dig it? 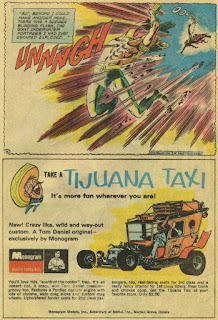 I remember picking this up as a kid! 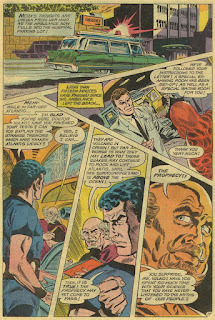 There were almost no places that regularly sold comics where I lived, so I got it at Penn Station when my family visited relatives in New York! 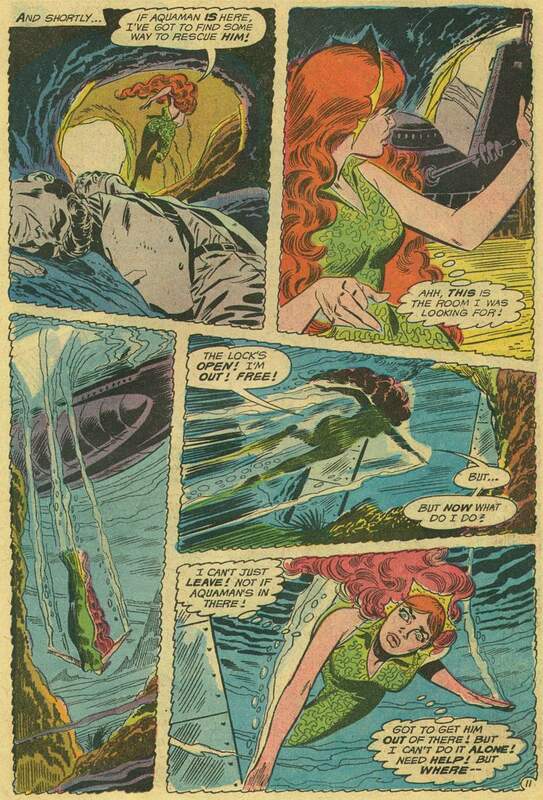 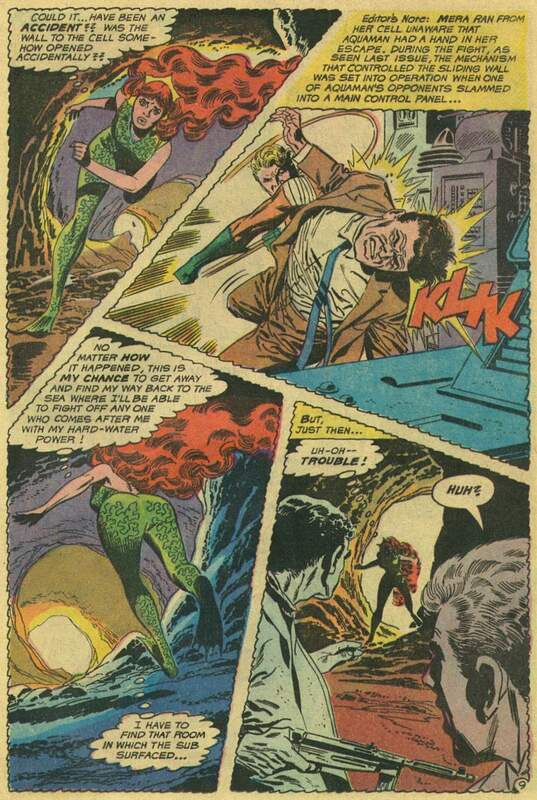 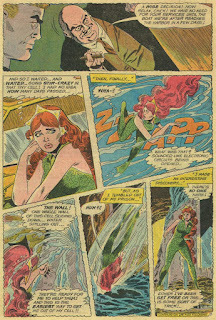 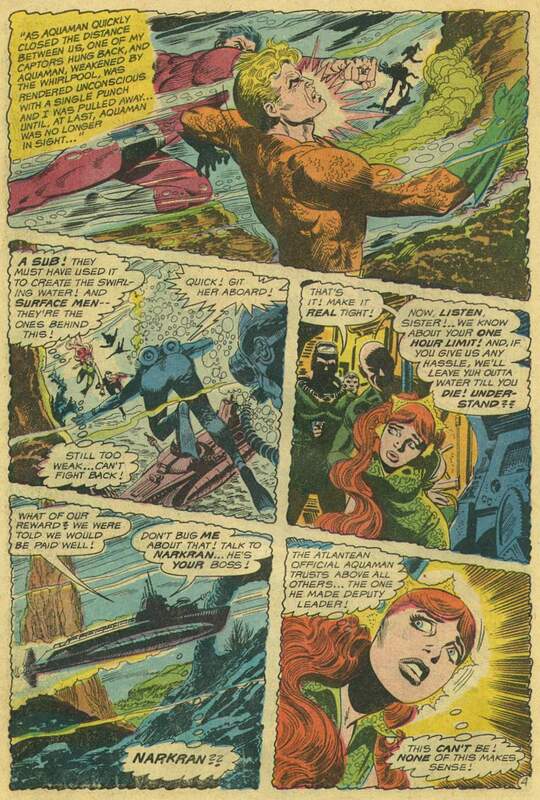 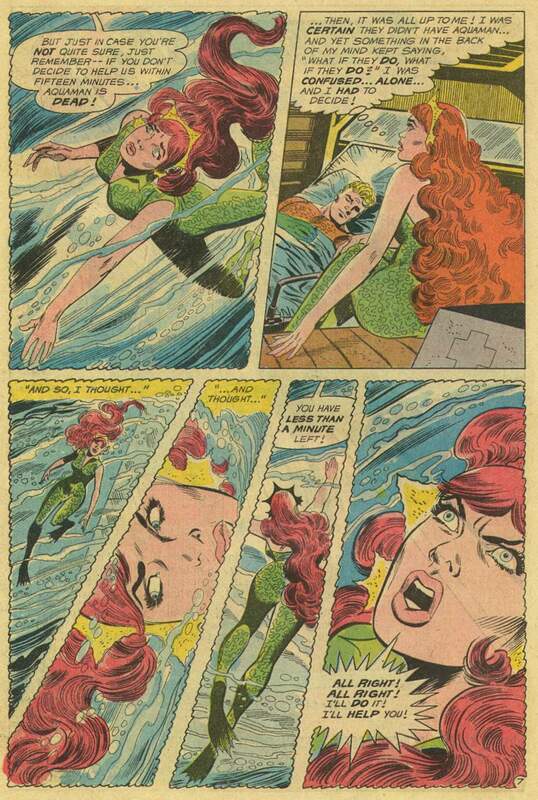 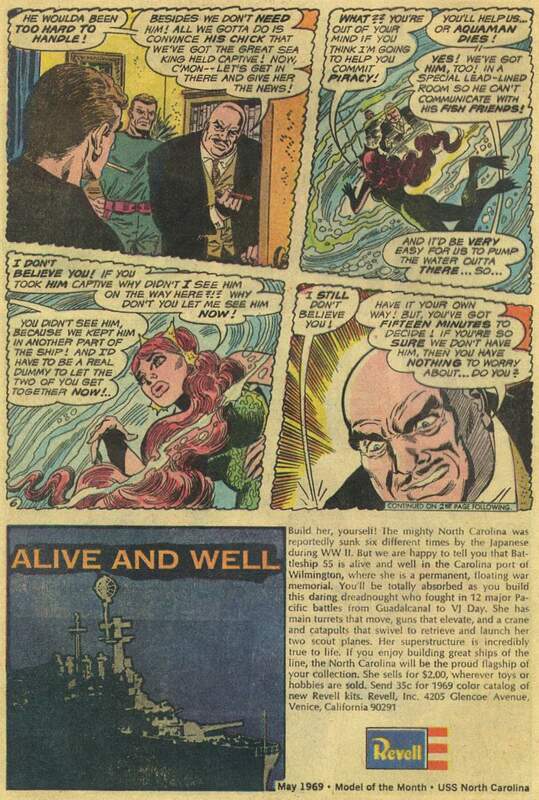 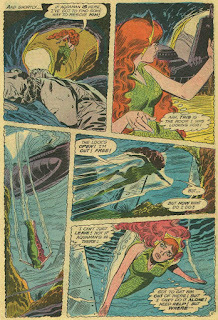 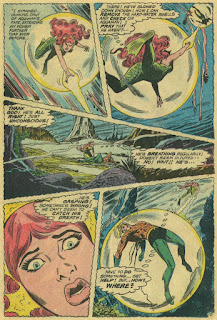 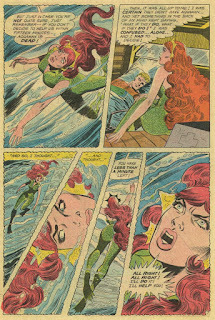 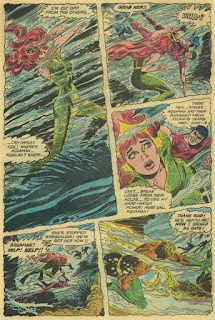 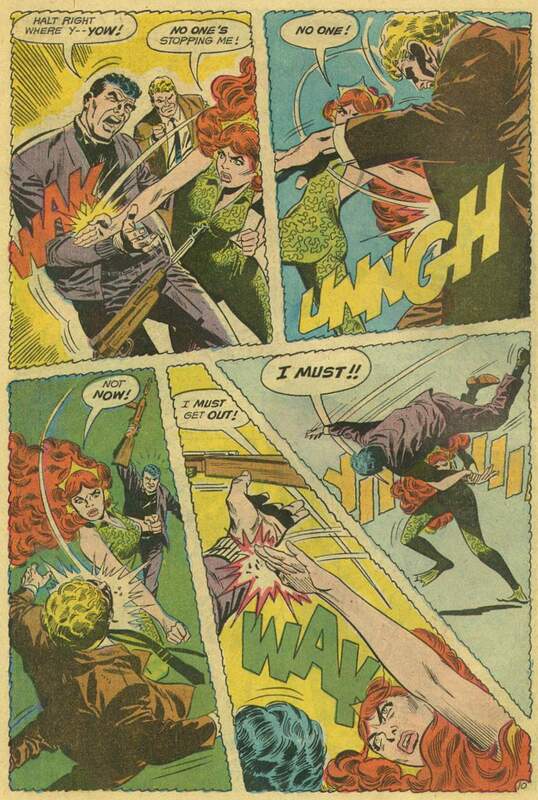 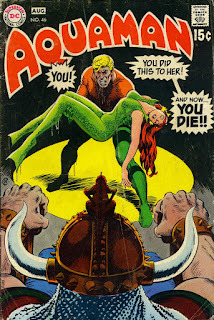 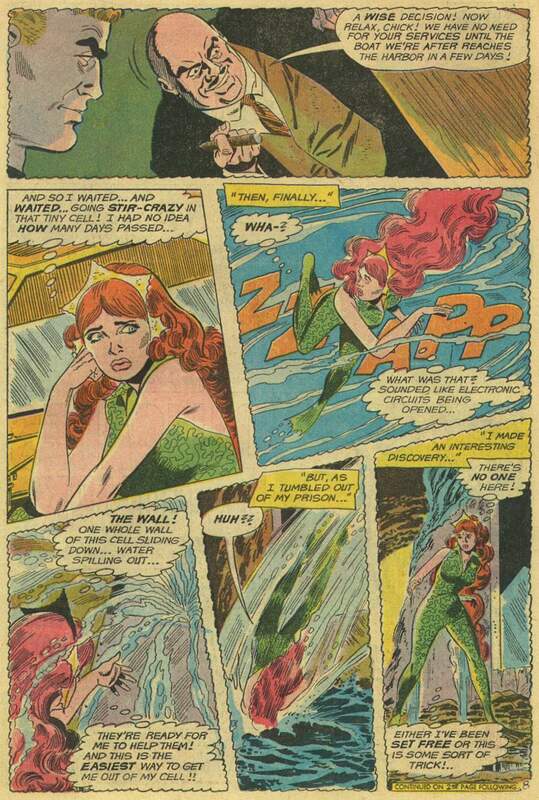 I had the first issue where Mera was kidnapped, and this one, but none of the in betweens. I thought it was so cool that she did not have to be rescued! (OK, there was SOME help, but she took advantage rather than wait around!) 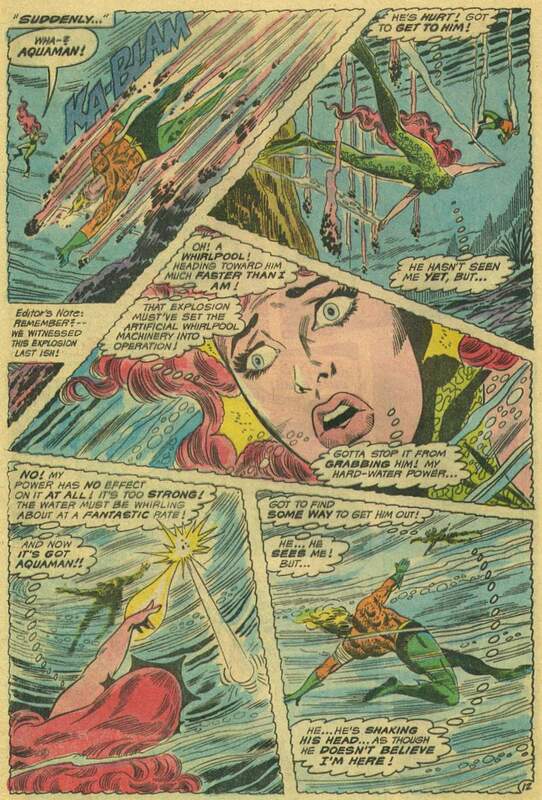 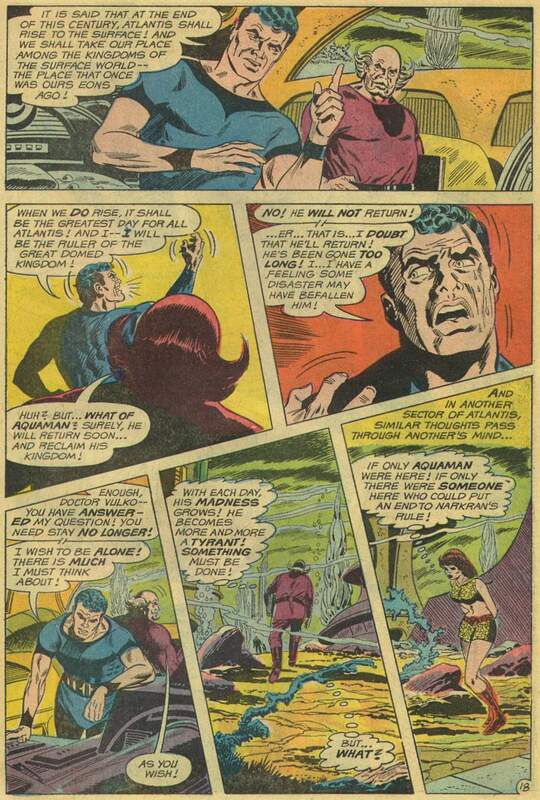 Especially back then the Atlanteans weren't super-strong as they are now. 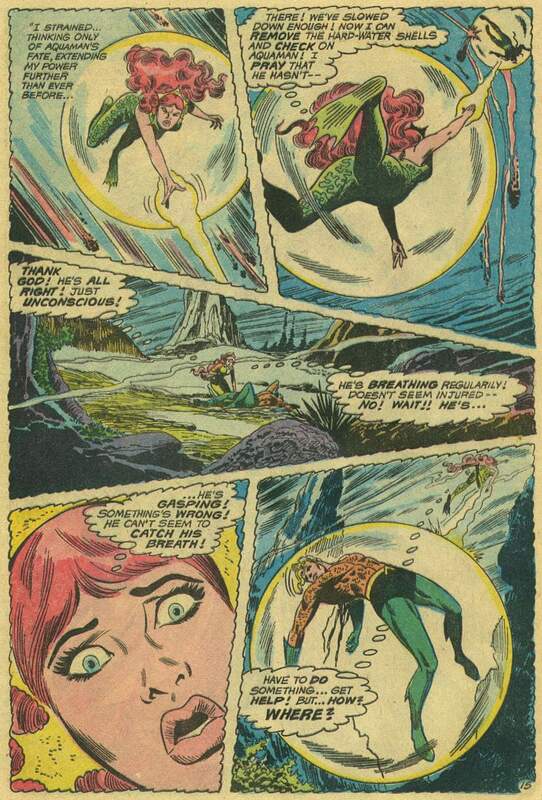 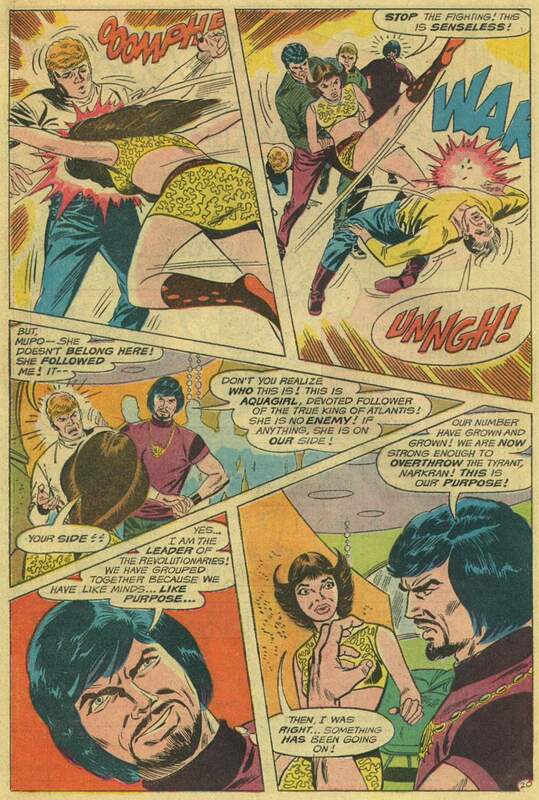 Also thought Aquagirl's stingray hair was cool, even if it defies logic! 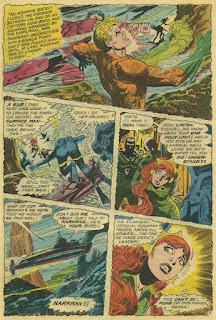 I believe this was done during the in which Giacoia was a Marvel exclusive or was at the very least on staff at Marvel. 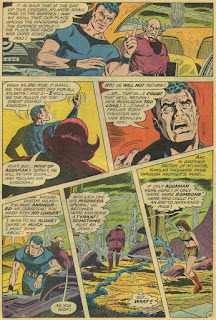 But he continued to do a few freelance jobs for DC either uncredited or using pseudonyms.